WINNER! 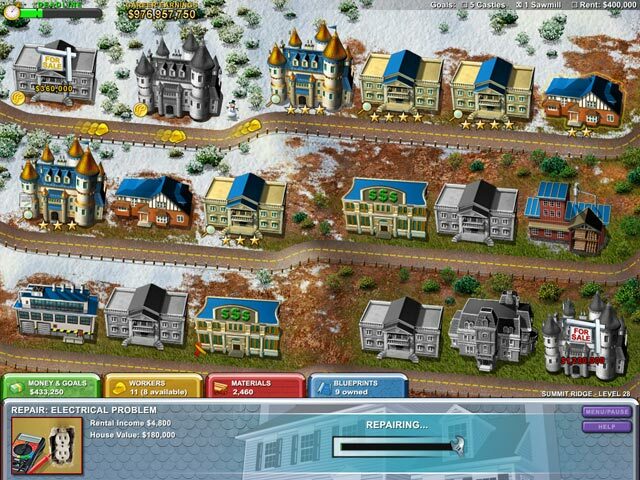 #1 Action/Arcade Game of 2007 Become a real estate mogul and take over the housing market as you construct, upgrade and sell houses for huge profits! You can flip houses for quick cash or sit back and watch the rental income pile up. Travel to scenic towns and perform special tasks for the local mayors. Buy blue prints of new buildings to build bigger and better neighborhoods! Can you build an ice rink for the Olympics? A new cinema for the local movie star? Find out in the new strategy game, Build-a-lot!